How gum disease is approached typically is based on how far along it is. Options start at non-surgical for controlling bacterial growth, and can involve surgery to restore supportive tissues. The dentist cleans plaque and tartar from above and below the gum line. Based on the severity of the disease the dentist may recommend more frequent visits. This process involves a deep cleaning process that removes plaque and tartar from below the gum line in a process called scaling. Rough spots are removed from the teeth which allows the gums to reattach to the surface of the teeth. Watch the short video about scaling and root planing below. Gums are lifted back and the dentist scrapes out the tartar. 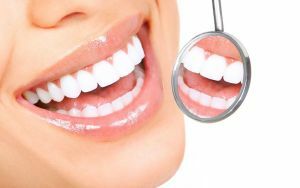 The gums are then placed back so that they return to a more snug fit around the tooth. Using fragments of bone being grafted to add stability back to teeth, or pieces of soft tissue to reinforce the gums where they have receded. These are options for more severe cases. Included with flap surgery, this involves adding a small piece of fabric between the bone and gum tissue. This prevents growth into the area where the bone and connective tissue are growing back together. "You feel special when you enter into the office, and are welcomed with a cup of coffee or refreshments. They are always attuned to your needs."